My hands are dirty. My heart is full. I’ve been busy, busy, busy. I’ve painted up a bunch of new stuff….but the work has just begun. A dozen paintings do not make a body of work. One gallery show does not make me a star. A couple of sales do not make me a success. A few accolades does not mean I can call myself a master of anything except taking a risk and even then, it is a small risk for the small steps I have taken. The work has just begun. I love this quote by Andy Warhol. 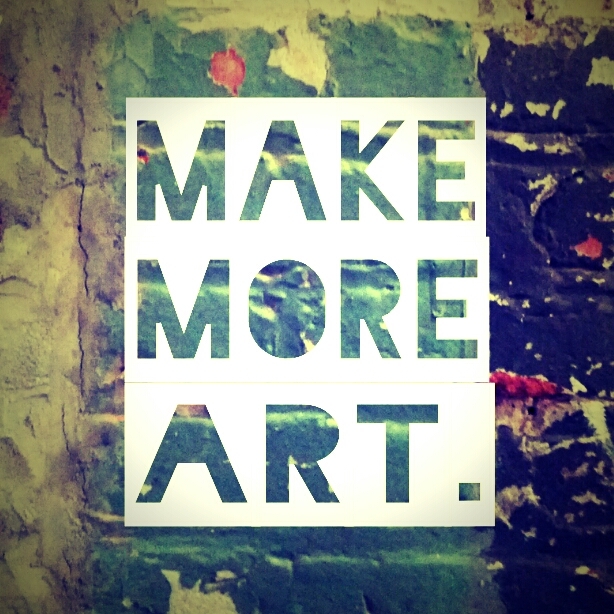 Make more art. I’ve been told that I need to make a hundred paintings and then I might start to understand how to paint. A thousand more and it will really sink in. 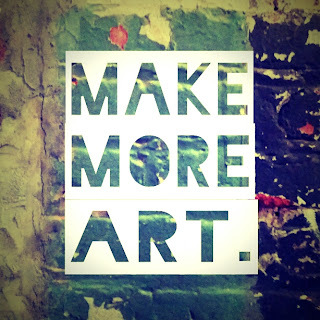 And it’s more important than ever to ignore what other people are saying and just keep painting. Just keep singing, writing, designing, making and doing what you love, and don’t stop for anyone because there is a place for everyone in the creative world. And I am just beginning. I am excited and nervous. But I can’t stop now. Each step forward propels me on to the next, and on I go. Every week that I create something new is the best week ever. Every opportunity that unfolds before me tells me, I know I’m going in the right direction. A hundred paintings, a thousand more? The work has just begun.